To make #WaterForAll a reality, communities must come together to actively govern this precious natural resource. As we approach World Water Day, celebrated every year on March 22, we are diving back into some stories that show just how communities are providing #WaterForAll. In many regions around the world, water is a scarce resource. Managing this natural resource takes a combination of community governance, transparency and accountability. From building and maintaining boreholes in Niger and reducing the water workload for women in Indonesia to teaching children about washing their hands to reduce disease in Burkina Faso, water is a community issue. Supporting communities to devise and sustain natural resource plans helps mitigate water conflicts and keeps water infrastructure functional long after the end of projects. Keep reading to learn how community governance, nutrition and entrepreneurship are all shaping water access. In order to manage the water boreholes across the Bombonyenga Village, the community founded a Water User’s Association to oversee mobilizing the people and resources that keep the human-powered pumps up and running. 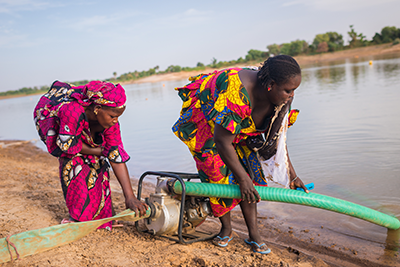 Following training and coaching from USAID|REGIS-ER project, which NCBA CLUSA is implementing in Niger and Burkina Faso, the association is key to keeping the water services accountable, transparent and uplifting community responsibility for key resources. Read on to hear how Bonbonyenga Water Association has been listening to the community and responding. Over 30,000 people in Indonesia now have access to clean water after the end of the Cooperative Water and Sanitation for Health (CoopWASH) project, which NCBA CLUSA implemented in partnership with the Starbucks Foundation. The three-year CoopWASH project installed more than 60 gravity-fed and deep-well water systems that are now providing new sources of water for 80 percent of community members and have helped reduce the workload of women and girls by 75 percent in the Aceh and North Sumatra provinces. Read on to hear about how Indonesian villages are setting up water management committees to keep these systems running. Tucked in the corner of Aissata Thilogme’s small store is her best-selling product—clean water. Not bottles, but bags and bags of filtered water for a fraction of the cost. Aissata is a community based solution provider (CBSP) in the Matam Region of Senegal. Nominated by her community as part of NCBA CLUSA’s USAID|Yaajeende project, she is a local entrepreneur who provides access to essential items like seeds, enriched flour and clean water. Read on to learn about how entrepreneurship with water is meeting community needs. Women from the village of Woulmassoutou in Burkina Faso were worried about the frequent outbreaks of diarrheal diseases, stomach pains and malarial fevers. 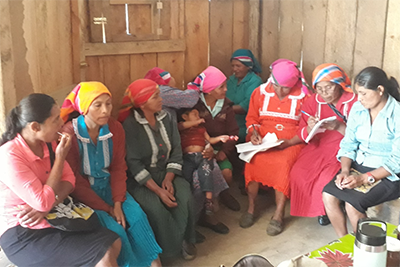 Within their “mother-to-mother” support groups, they had learned that washing your hands with soap at critical moments is crucial to prevent certain diseases, but only an extensive mobilization and commitment would be able to shift attitudes in the entire village. The women in the mother-to-mother group decided to partner with the men active in the village’s husbands’ school to advocate for change. 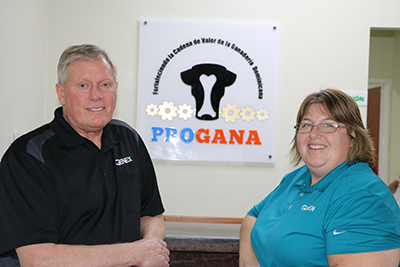 Together they requested support from the community health and nutrition Quality Improvement (QI) Team, because it seemed the most appropriate group to tackle this overall problem. Read on to hear how the entire community came together to identify goals and measure progress.